A daily half hour audio podcast of the Gospel Truth radio program. Search through and listen to all episodes of the Gospel Truth. Find the Gospel Truth radio program on a station near you. Welcome to Andrew Wommack Ministries’ online audio material! This page is meant to empower listeners through audio teachings on the Good News. Listen to our daily half-hour podcasts on our free online radio program, search and listen to all our radio broadcasts, or scroll through the broadcast schedule to find a Gospel Truth radio program on a station near you! Andrew’s heart is to see everyone set free by the truth of God’s unconditional love and grace. This is why, with the help of our partners, we are pleased to offer you free audio downloads. 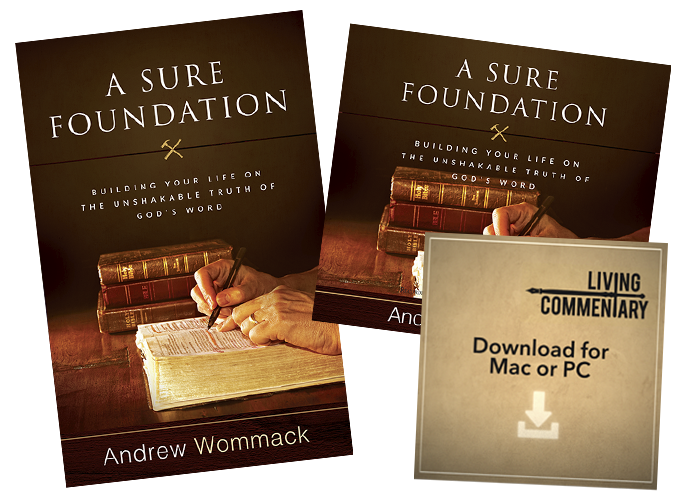 In these archives, you’ll find a wealth of Andrew Wommack’s materials that will encourage, instruct, and bless you. You can listen to any or all of his teaching albums, single teachings, and Gospel Truth radio broadcasts. You can also find Today’s Radio Offer uploaded onto our website. Product offers are connected with the aired messages available through CD, DVD, book, or study guide format. Audio teachings make it convenient to listen to teaching while driving on the road, working out, or simply needing to listen to something hands free. To complement the audio sermons, teaching articles have been posted online to reinforce the messages currently being uploaded. Check the Radio Broadcast Schedule to find out when Andrew will be on a radio station near you, or use our free online radio. Through the Gospel Truth podcasts, you will develop the mind of Christ, discover the amazing promises of God, and know the truth of God’s Word. Whether you are wrestling with your faith for healing, in finances, or just needing edification, these teachings will minister to you. Take advantage of these free resources today!